Theme has import extension for plugin WPAI. You can use Free version of plugin which you can download from wordpress.org. All our Addons will work with Free version of plugin. Any of xml or csv file which you can get from your affiliate network can be used for bulk import. We provide several addons, each addon is made for special type of site and functions. This type of site means that you will have only single Main offer in each of your post. You can check example of such site on recash.wpsoul.net demo. Offer can be added as simple deal or as a Coupon. You will need WPAI plugin and Post addon. After installing WPAI plugin and our addon, go to All import – Import and upload xml/csv file or provide direct link on file. It will be better if your affiliate network provide auto updated link to file with all offers. In this case you can create also price updates and keep your deals actual. After uploading, you need to choose where to import your feed. Choose “Posts” and go to next step. Second step will show you structure of your imported file. I always skip this step and go to Step 3. Step 2 is useful only if your file has very complex structure and you want to choose only special part of file to import. 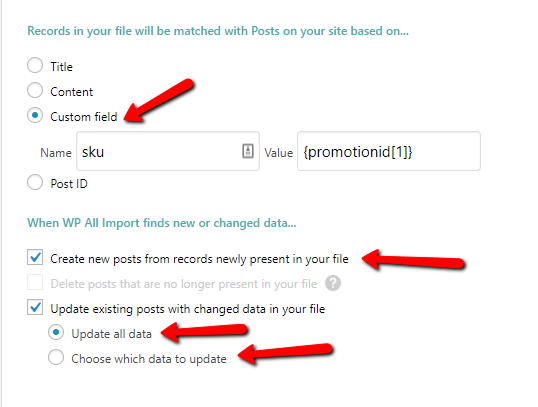 In Step 3 – you must map each of field in your import file to WordPress fields. In right part, you will see all available data of your import file. You can drag-n-drop all fields to the proper fields in left part. In my case. I can drag-n-drop field Title to Title field in left part and Content to Content field. For this, enable option “Download image hosted elsewhere” and drag to this field image url field. Let me explain other fields in Post offer section. Post offer Name and Short description can be useful if you want to assign different description for your offer block from Main title and content of Post. But usually, I leave this field as empty. Button Text is useful if you want to add custom text to button of offer. For example, if you import all products from Ebay, you can change button to “Buy on Ebay”. Leave blank if you want to have “Buy this item” text. You can also change all Button text globally for all posts in theme option – localization. But there is no any guarantee that you will have it. Here you can add coupon code, expiration date and enable “reveal coupon” function. Theme uses dates in format yyyy-mm-dd, sometimes, your feed will have another structure of date, so, you can enable converting. Mask coupon code – You can enable this option if you want to hide coupon. So, user must click on button to show coupon. Original site will be opened in another window, so, in this way you can be sure that you will get commission. 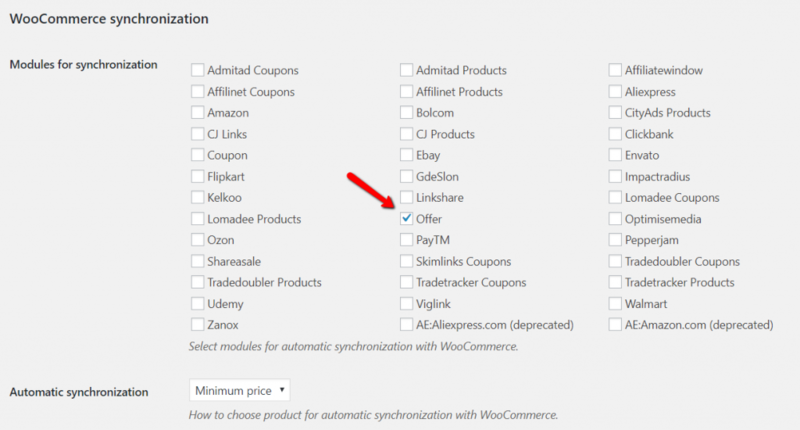 Without this option, coupon will be visible for all and users can just copy coupon and leave your site. 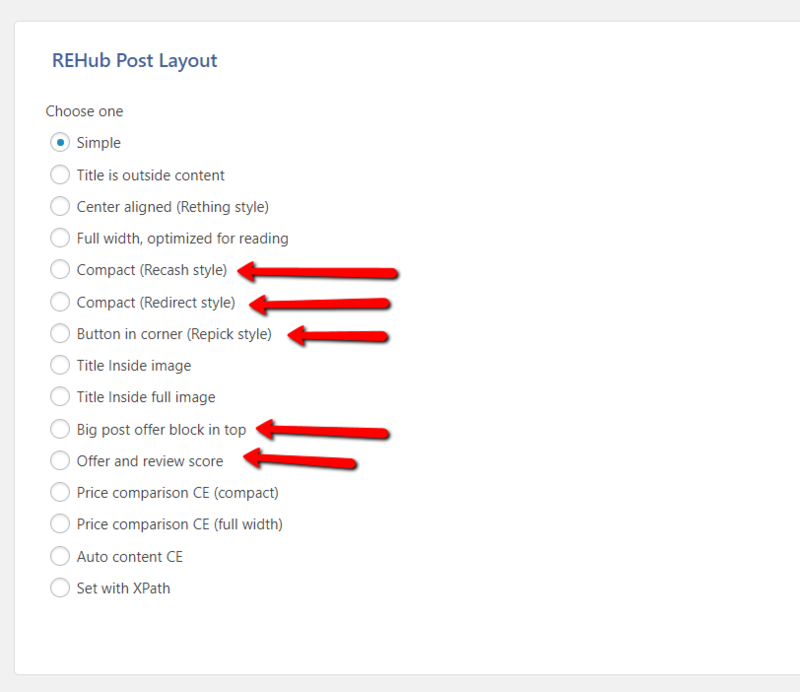 Rehub Location and Rehub Post Review can be used if you want to add Reviews to post and and location. 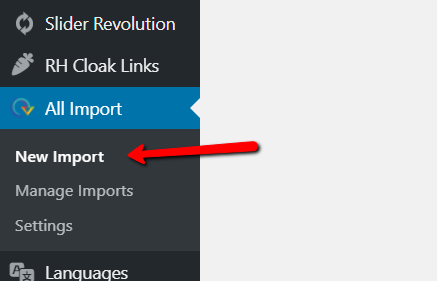 Here you can set how to handle your recurring import. Click on Auto-detect button. Usually, it will detect your title field. So, this will add unique ID which will be equal to title or other field which you want. In next time, if plugin find any post with the same ID, it will detect it as existing post. Then, you can choose what to do in such case: update data of post, delete other posts and you can choose what to update. Usually, I choose to update only Custom fields, because theme saves all prices, coupons and other data in custom fields. For example, you have feeds from several affiliate networks or merchants and you want to compare prices for the same product. This is possible with unique addons of our theme, but only one requirement – all your feeds must have any common part to group the same product. It can be SKU, EAN, title or even link. But it must be identical in different feeds for the same product. If you don’t have such common part – you can’t make price comparison, so, you can make only deal/coupon site. If you have such ID in your feeds, you can import your deals with our Woocommerce addon or with our Content Egg addon. There are some difference between two addons. When you import by woocommerce addon, each of your offer will be posted as separate Product, then combined by our theme by SKU field. Theme will choose lowest price product and will hide all other products for the same deal. Content Egg addon will post all offers inside one product, this is better because you will have less products on site and you will have more layouts for output and flexibility, you can assign more offers manually after import. So, I recommend to use Content Egg addon for any kind of affiliate price comparison site and our Product addon if you need Multi vendor site or you need to have separate products for each offer. Let’s start from Content Egg addon. First of all, install Woocommerce and Content Egg (from Rehub – Plugins tab). Free version of Content Egg addon which is bundled with theme is enough, but we recommend PRO version if you need more functions and modules. Next, Enable Offer module in Content Egg settings. Also, enable saving Featured image of post in settings of Offer module. Now, you need to install WPAI plugin (free or PRO version) and Woocommerce Addon + our Content Egg addon. Free version of Woocommerce Addon can be found on wordpress You can get Content Egg Rehub Addon in Rehub – Plugins tab, install and activate both addons and plugin. 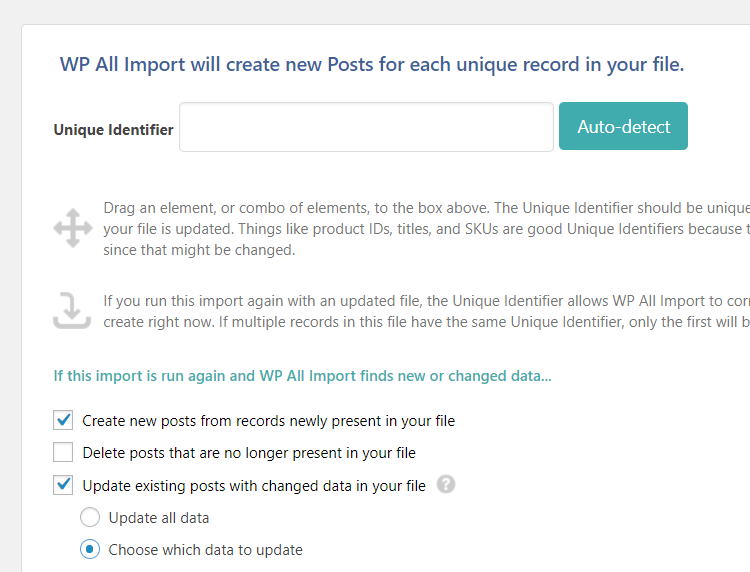 Next, import your file or url and select import as Woocommerce Products in first step of import. Don’t forget, that it’s better to set deeplink and offer url as separate fields if this is possible. For example, if you have offer url as http://amazon.com/product/2222?tag_id=2342, where tag_id=2342 is your Affiliate ID (usually, it has name “deeplink), you must add http://amazon.com/product/2222 to your offer url field and tag_id=2342 to deeplink field. This is not required, but we recommend to do this. In this field, add your common part from your feeds. Usually, it has name SKU, EAN, ASIN, product ID, etc If two offers from your feed will have this common part, plugin will not create new product and will attach new offer to existed product or will update existed offer. That’s all for Content Egg import. If you think that you need to have different products for each offer, you can use our Woocommerce Addon. If you need woocommerce addon – send us request This is available only for our clients (theme buyers). Before importing products, install our Special Plugin RH Woo Tools in Rehub – Plugins. Next thing, you must use one of available special product layouts if you want to have support for price comparison. We provide two layouts for this. You can choose them for all products on site (globally) in theme option – shop settings – shop layout or when you make import. If theme will find any other product on your site with the same SKU, it will group all such offers in this common Product Hub. In other words, theme will show all offers with the same SKU in each product. By default, theme will show logo of products, but you can also create separate Merchant/Brand pages and show Store logos. For this, while import, attach your “Brand” in Taxonomies, Categories, Tags section. 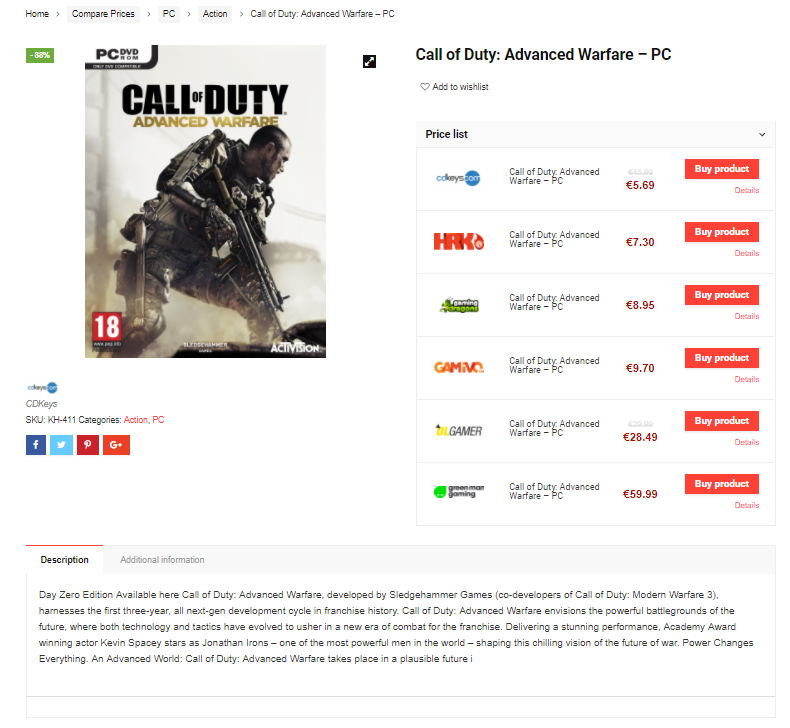 Another Product layout which was added recently is Price list layout. You don’t need to add any shortcodes if you choose this Product layout, because it will grab products by sku automatically. Product layout has name Compare Prices by sku. It has next look. Price updating option to update existed products are the same as for Posts which we described above. The only difference is that you can use key “_sku” as matching key in settings. 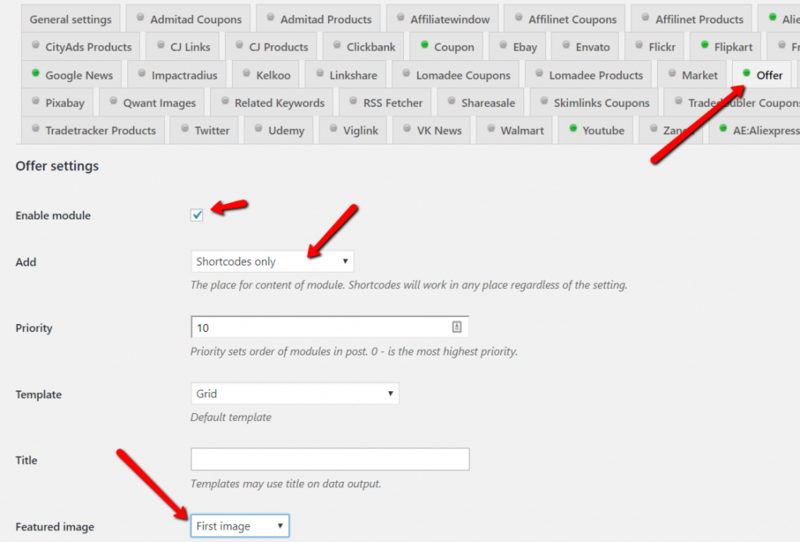 This key is used by wordpress to store SKU. After importing products with the same SKU, you will see that you have duplicated products on site. Each of this product will have price comparison list. But you can hide them from site and make visible only product with lowest price. 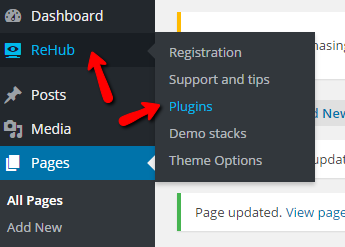 For this, Install our plugin RH Woo Tools (You can get if from Rehub – Plugins). 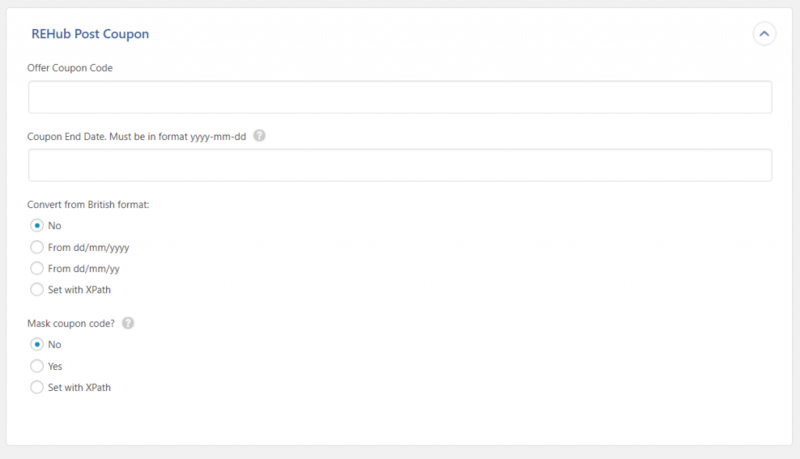 After installation, go to Woocommerce – Status – Tools. 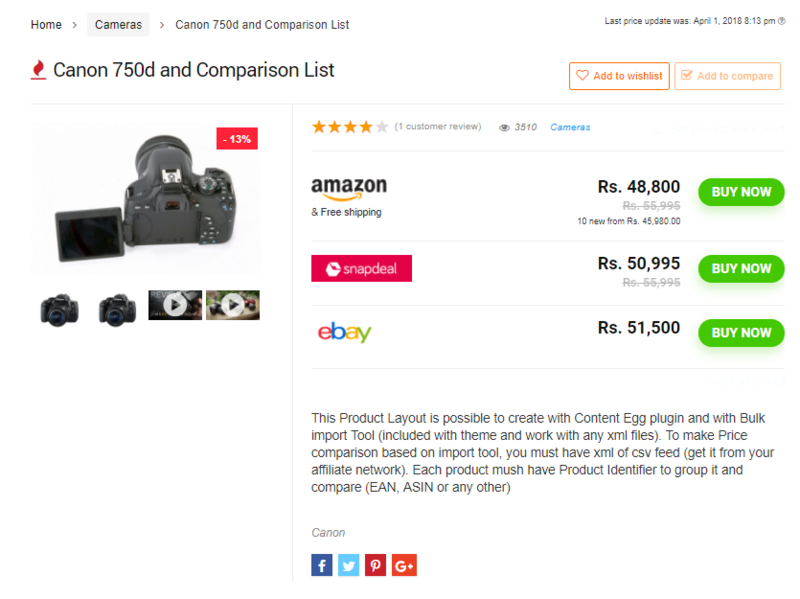 In end of page, you will find option “Hide duplicated products” Click on it and all duplicated products will be hidden except products with lowest price.